So Dr. Agatston developed his own. The South Beach Diet isn't complicated, and it doesn't require that you go hungry. You'll enjoy normal-size helpings of meat, poultry, and fish. You'll also eat eggs, cheese, nuts, and vegetables. Snacks are required. You'll learn to avoid the bad carbs, like white flour, white sugar, and baked potatoes. Best of all, as you lose weight, you'll lose that stubborn belly fat "first"
Dr. Agatston's diet has produced consistently dramatic results (8 to 13 pounds lost in the first 2 weeks ) and has become a media sensation in South Florida. 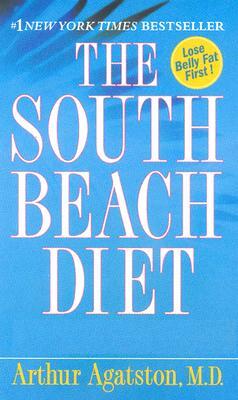 Now, you, too, can join the ranks of the fit and fabulous with "The South Beach Diet."